You asked for it – Zip Code Area Search is Here! You can now utilize Zip Code Area Search! We feel that this search is a large improvement over the original version because now you’ll be able to choose the size of the search area instead of a partial zip-code. All you need to do is enter the starting zip code and then select how many miles around the starting zip code you want (10, 25, 50, 100, 250, 300 mi. ) and then click go. In this example, we’re searching for all listings in the Tucson, AZ area, with a starting zip code of 85724. After entering our search area of 100 miles around 85724 and hitting “Go,” our results will show only listings that meet that distance criteria. 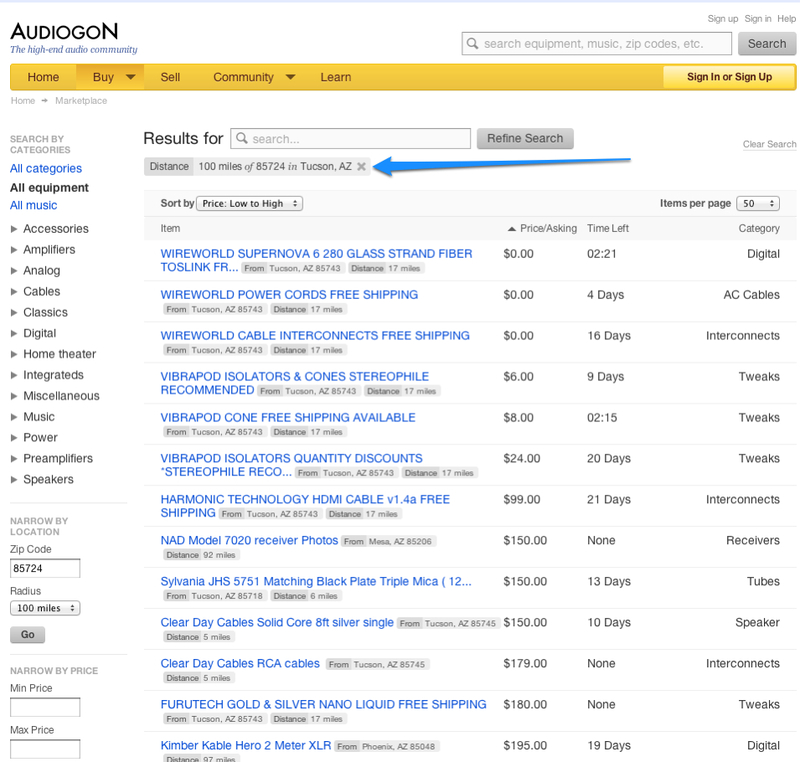 Try out the new, improved Zip Code search next time you visit Audiogon! If you have any questions or comments, please contact us here.